We shopped until we dropped. It took nine years, but now it's time to pack up our bags and head home. The last issue of ShopSmart will be on newsstands on July 14. ShopSmart covered it all—from strategies for outsmarting car and mattress salespeople to tips for finding a bra or body shaper that actually fits (and doesn’t accentuate back flab!). We also shared the secrets to scoring the best coupons and every other trick in the bargain-hunting book. And we empowered you with info to keep your family safe. Yeah, I know, sometimes we scared the daylights out of you with warnings about scary chemicals in your rice, soda, makeup, and even your floors. But the point of it all was to help you make the smartest choices every time you shop. I hope you learned a lot—and saved tons of money while you were at it. We certainly learned from you. We were inspired by your tips, your stories, and, most of all, your support. Thank you. P.S. Visit ConsumerReports.org for more helpful tips and product recommendations. When is the last issue? The last issue of ShopSmart is the September issue. It should be in your mailbox between July 9th and 14th. Why did the magazine stop? You may not realize it, but Consumer Reports is a nonprofit organization and we must invest our resources and time carefully so that we can continue to serve consumers with rigorous product insights for years to come. Rest assured we will continue to publish our flagship magazine, Consumer Reports, and invest more heavily in our digital products, including a refreshed ConsumerReports.org and an enhanced mobile footprint. What happens to my paying account? If you subscribe to ShopSmart only, we plan to fulfill the remainder of your subscription to ShopSmart with copies of Consumer Reports. 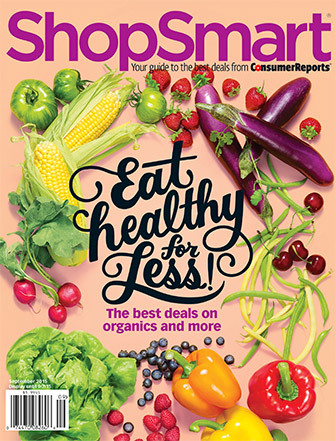 If you already subscribe to both ShopSmart and Consumer Reports, then we will extend your Consumer Reports subscription by the number of months remaining on your ShopSmart subscription. If you have any questions regarding your account please call 866-428-5812.